This powder room (also known as a 1/2 bath or water closet) has space to become a full bathroom, complete with a shower for guests. 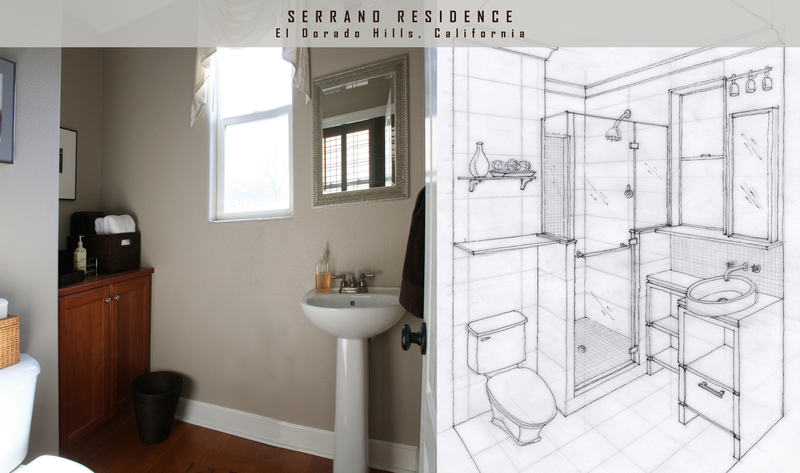 This perspective drawing helps to show an idea for the bathroom remodel. Bathroom design concept in which a shower and vanity are added. Enter your email address to follow AMG Inspired articles and receive notifications of new posts by email.